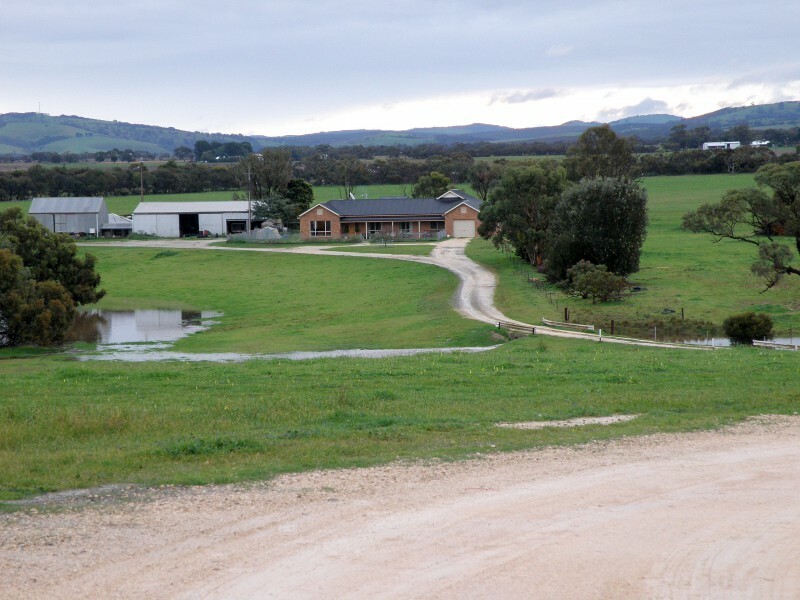 Inverbrackie Border Leicester Stud is located only an hour from Adelaide being 12km south of Strathalbyn on Dry Plains Road, just out of the Mt Lofty Ranges. The reliable rainfall and cool climate provide good conditions for breeding sheep. The average rainfall is only 392mm but with a strong coastal influence with cool nights that provide a slightly extended growing season for that amount of rain. See our “Contact” page to view a map. The house and sheds are clearly visible from the road, yet well set back with the driveway crossing the mainly dry creek bed. The location of the stud can sometimes be confused with the small Inverbrackie township alongside the Army barracks near Woodside. This was where the Arney family farmed in the early 1900’s for several years. Repeat clients travel large distances to purchase rams, often driving past other Border Leicester ram sources. These clients know that it is worth the drive to get the best quality rams they can find.